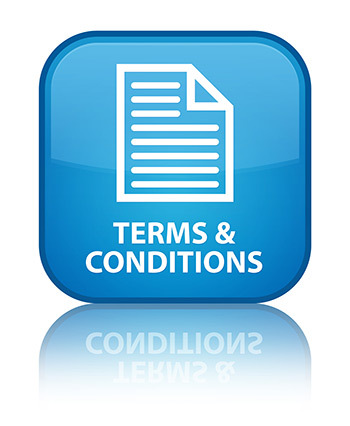 If you do not agree with any of the terms and conditions below, please refrain from using this site. However, If you accept the following terms, please continue to use our website, returning to the main page, via the link at the bottom of the page. Please feel free to browse the site. You may download material displayed on the site to any single computer only for your personal, non-commercial use, provided that you also retain all copyright and other proprietary notices contained on the materials. You may not, however, distribute, reproduce, republish, display, modify, transmit, reuse, repost, or use any materials of the site for public or commercial purposes on any other web site or otherwise without the written permission of the operators. Modification of any materials displayed on the site is a violation of the operators copyright and other proprietary rights. The NAPTG logo is a trademark of Needaplacetogo. Use of the trademark displayed on the site is strictly prohibited unless permission is granted in writing from the operators. Images of music artists found on this site are owned by each artist's record label. Please do not, under any circumstances, copy, reproduce or distribute any of the images as we alone have been granted permission for use. You may download music found on this site for your own personal use. You may not however use music found on this site for any personal commercial gain. Sampling of tracks is strictly prohibited. Copy right of music found on this site remain in ownership of its creators. www.needaplacetogo.co.uk contains links and pointers to other worldwide websites, resources, and advertisers of the site. It is not however responsible for the availability, contents, or off-site pages or any other sites linked to the site. By clicking on any such link, you acknowledge that NAPTG has no control over, and makes no representations of any kind to linked sites and revoke any claim against the operators with respect to such other sites. The linked sites are for your convenience only and you access them at your own risk. Whilst Needaplacetogo.co.uk welcomes advertisers at a cost, we also have the right to refuse advertisements, without giving reason, if we so choose. By transmitting any message or by submitting creative ideas, concepts, know-hows', suggestions or material, you are automatically granting the operators a perpetual, royalty-free, non exclusive, unrestricted, worldwide and irrevocable right and license to use, reproduce, modify, publish, translate, prepare derivative works based upon your submission. Although we at NAPTG are pleased to hear from visitors to our site, it is the site's policy not to permit, accept or consider unsolicited submissions. We hope you will understand that it is the intent of this policy to avoid the possibility of future misunderstandings, legal or otherwise, when creative ideas, concepts or materials developed by the operators of NAPTG might appear to be similar to your submission(s). In the event you do submit unsolicited submissions, such submissions shall be deemed, and shall remain, the property of the operators. As is the case with solicited submissions, the submission of any unsolicited submission shall constitute a grant by you to the operators of the Rights described above. Competitions are open to residents of the UK and Ireland only. Winners will be notified by email or telephone, at which time further contact details will be requested for the purpose of sending out prizes. In the event where you are asked to provide personal contact details, you can be assured that the NAPTG will not pass on your details to any third party. If you are under the age of 12 you must obtain permission from your parent/guardian before you enter any competition. Entry to the competitions is restricted to one entry per person per competition. Details will be checked. While we use reasonable efforts to include accurate and up to date information within the site, we cannot and do not make warranties or representation to its accuracy. We accept no liability or responsibility for any errors or omissions in the content of the site, nor do we assume responsibility for any financial loss or health injury that may occur as a result of reading information gathered on this site. By using the NAPTG you consent to the collection and use of information as we have outlined in this policy. Changes or amendments to this policy will be posted on this page so that you are always aware of the information we collect, how we use it, and under what circumstances we disclose it.